This is something that would definitely be useful for Human Resource (HR) Personnel, employers as well as employees in the Philippines. The Department of Labor and Employment – Bureau of Working Conditions (DOLE-BWC) has released the Handbook on Workers’ Statutory Monetary Benefits (2018 Edition) and is now available online for FREE via the official website of the DOLE-BWC. 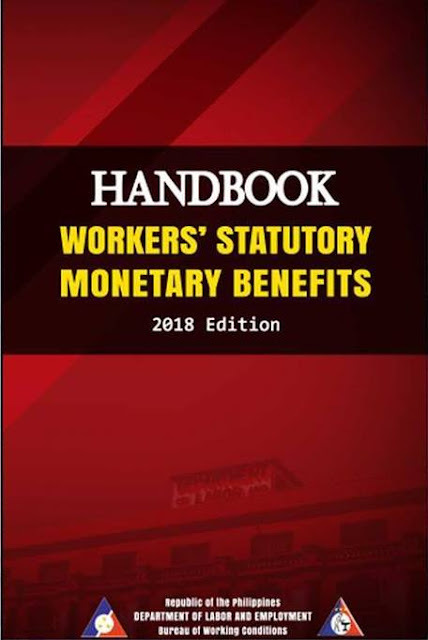 The handbook covers, among others, the following: minimum wage, leaves, separation and retirement pay including SSS, Philhealth and Pag Ibig benefits. This would be a very helpful reference for HR people and employers as well as employees.